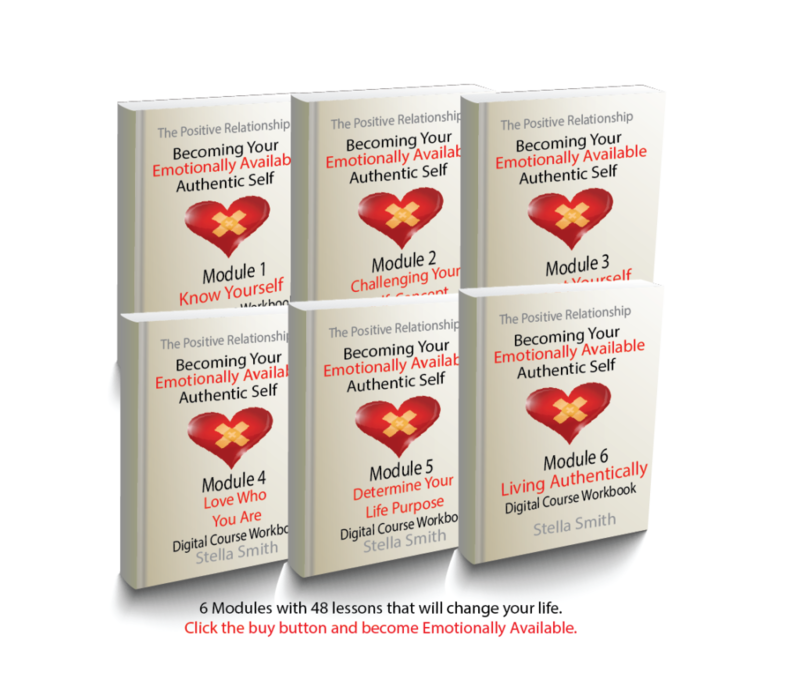 From the Emotionally Available Toolkit comes a course that will teach you how to live your life authentically and emotionally available. This course takes you through an introspective process that will result in newfound self-awareness, self-confidence, and the courage to create a life that truly makes you happy. You’ll find tools, techniques, and strategies to help build your confidence, silence your inner critic, raise your self-esteem, heal from past hurts and understand what you want out of life and your relationships. The course includes 48 lessons with a variety of lessons and exercises, designed to help you heal emotionally and be able to experience positive relationships both personally and professionally. The course starts by getting to know who you really are. Clarify your beliefs and values. Discover your true passions. Develop a healthy self-concept. Included are proven techniques that will help you accept and love yourself. Put your new self-knowledge to work in the next part of the course as you discover your life purpose and clarify your priorities in life – what’s most important to you! Finally, create a life plan that is built on your values and your desires. Anyone who wants clarity in their life or relationships or who struggles with self-doubt and would like to raise their self-esteem would benefit from this course. If you are emotionally unavailable or love someone who is, this class will help you face your relationship fears by making clear, who you are, where you are, where you want to be, and who you want to be with. If you are dissatisfied with your life, relationship or have gone through a break-up, this course will help you to reset your life and figure out how to heal and move on. For the price of less than one life coaching session, you can get 48 sessions worth of techniques, exercises, life lessons, and resources. Invest in yourself today!